It was a very presidential week, but not necessarily in a good way. 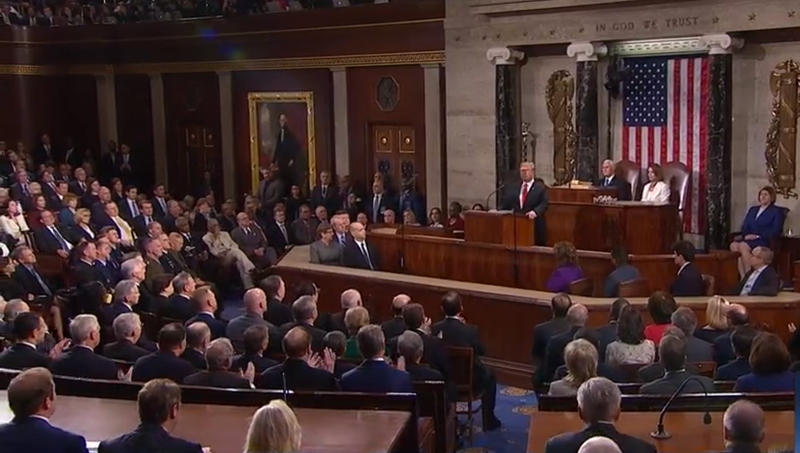 President Donald Trump delivered his State of the Union Address on Tuesday to a divided Congress that reacted as a divided Congress would: Republicans applauded the call for national unity and a firm approach to immigration – including construction of a border wall. Democrats dismissed Trump’s appeal for comity as an insincere pitch out of character with his regular use of insulting tweets and personal attacks. They brought a few guests to make their point. …But despite his warning that there can be no progress while the government is engaged in “ridiculous partisan investigation,” Democrats responded the next day by announcing the broadest inquiry yet of the president’s businesses and how they might have influenced his conduct as the nation’s chief executive. Of course the House Intelligence Committee’s broadside was only one inquiry hitting the fan last week – the first being subpoenas by the Southern District of New York of the records of the Trump Inaugural Committee’s activities and fund-raising practices. Various House committees, now led by Democrats, including U.S. Rep. Rosa DeLauro’s look at the Affordable Care Act, have begun hearings questioning Trump’s administrative measures. William Barr, Trump’s nominee for Attorney General, moved toward confirmation over the objection of Democrats on the Judiciary Committee, including Connecticut Sen. Richard Blumenthal, who disapproved of Barr’s refusal to promise to release the full text of Special Counsel Robert Mueller’s report on the Russia investigation. Friday’s acrimonious House review of Acting Attorney General Matt Whitaker’s tenure did little to illuminate why he was appointed or to improve the administration’s relations with the majority party, but gave the president another reason to complain about the Democrats. Blumenthal and fellow Connecticut Sen. Chris Murphy re-introduced a bill aimed at helping Connecticut homeowners whose foundations have been crumbling because of contaminated concrete. Back home, Gov. 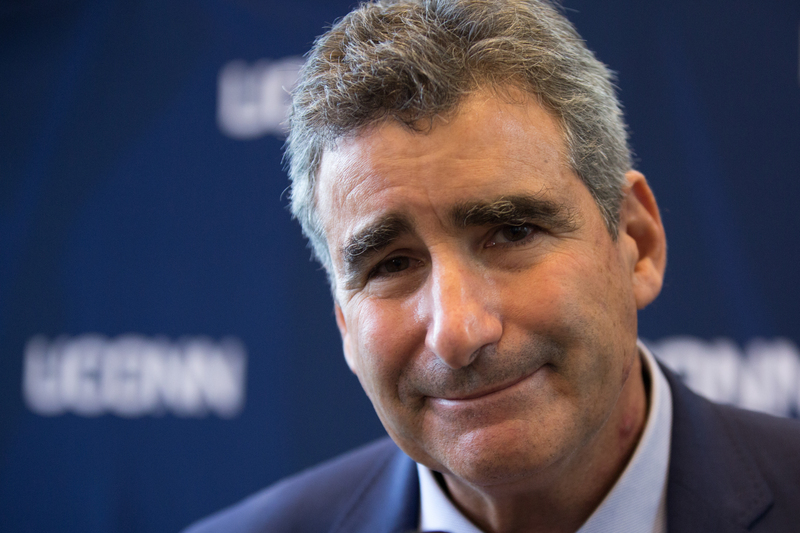 Ned Lamont was welcoming Thomas Katsouleas as the new president-designate of the University of Connecticut, taking office Aug. 1. Lamont also has a preferred candidate for the job of state education commissioner, but will have to come to terms with the state board of education, which is empowered to make a recommendation. Legislators have already reviewed Lamont’s nominee for the post of Correction Commissioner, Rollin Cook of Utah. The black and Puerto Rican caucus, meanwhile, is pressing the governor to appoint someone from their part of the demographic. Paid family and medical leave and a $15 minimum wage are on the Democratic agenda, but so are proposals to provide lawyers to children facing deportation, and legalizing recreational marijuana, and force nursing homes to disclose how many members of their staff are devoted directly to patient care. They also want to overhaul Connecticut’s sexual assault and sexual harassment laws. Hot on the heels of a report that student vaping is sharply increasing, lawmakers want to impose a number of new bans and restrictions to curb the young’s use of e-cigarettes.